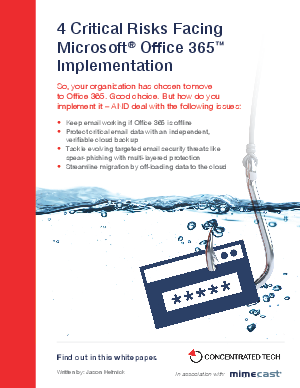 Migrating to Microsoft® Office 365™ has its risks. In this white paper you’ll learn how to keep email working if Office 365 is offline. Protect critical data with an independent cloud backup. Combat insidious threats to email security. And streamline migration while containing costs.